An ingredient that strikes the fear into the hearts of most people, the 007 of vegetables if you will….Sprout, Brussel Sprout. 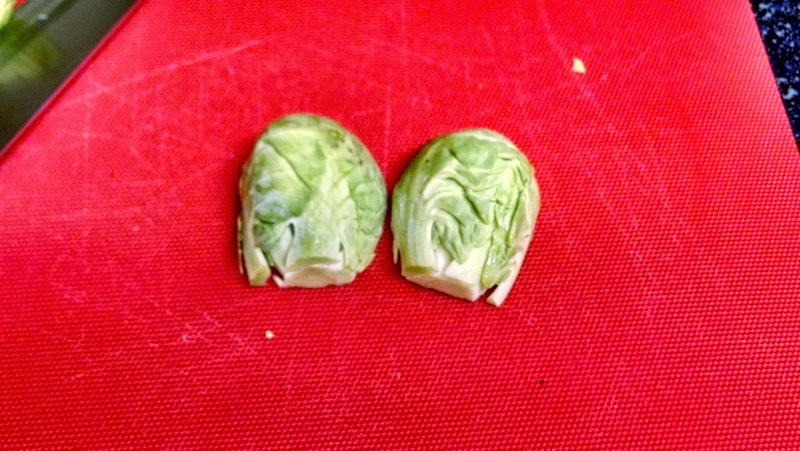 I know of all the brussel sprout horror stories, but I think these photos will change everything. We make this a few times a week. The formidable and intimidating brussel sprout. First up, cut the stem end off as demonstrated here. 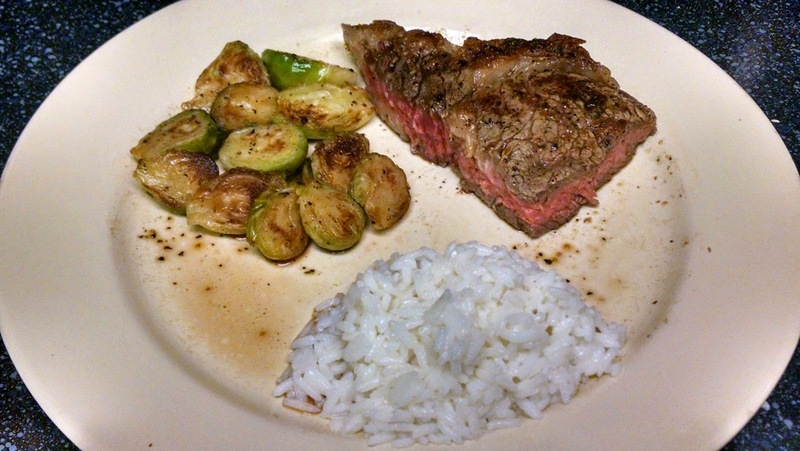 Cut the brussel in half, peel the exterior leaves that make look discolored or funny. The external leaves will come off really easily. Heat a pan with a good bit of olive oil and put it on medium heat. 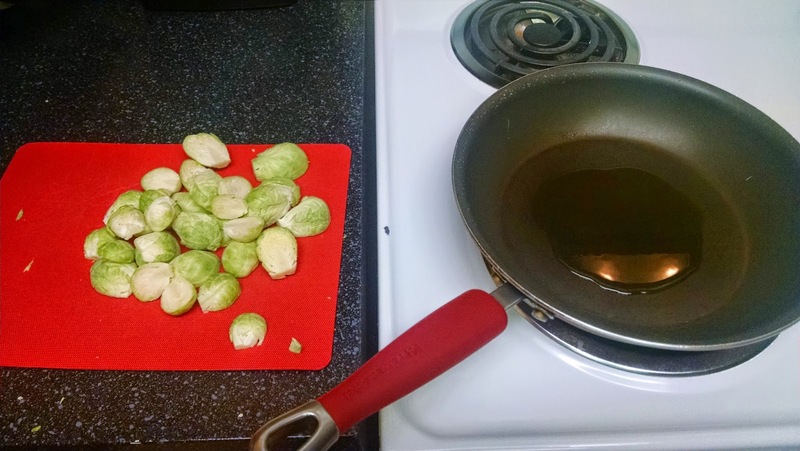 The brussel sprouts absorb the oil as they get good color on them. 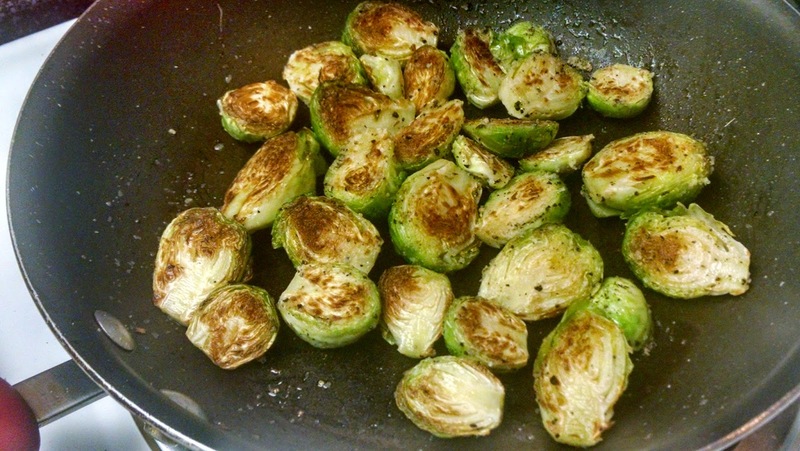 Put the brussels in a medium or large saute pan when it starts to smoke and get hot. *Note: Move the pan off the heat if it gets too hot. Place the brussels in saute pan cut side down. After about 4 minutes you should have brussels that look like the photo below. At this point you want to add water into the pan about two-thirds of the way up. Don’t submerge the sprouts in the water. Just enough where most of the brussel sprout is submerged. OK, turn the heat up to medium high and cook until the sprouts can be pierced with a easily with a fork with a little bit of resistance. Drain the water, and saute until all the liquid has evaporated. 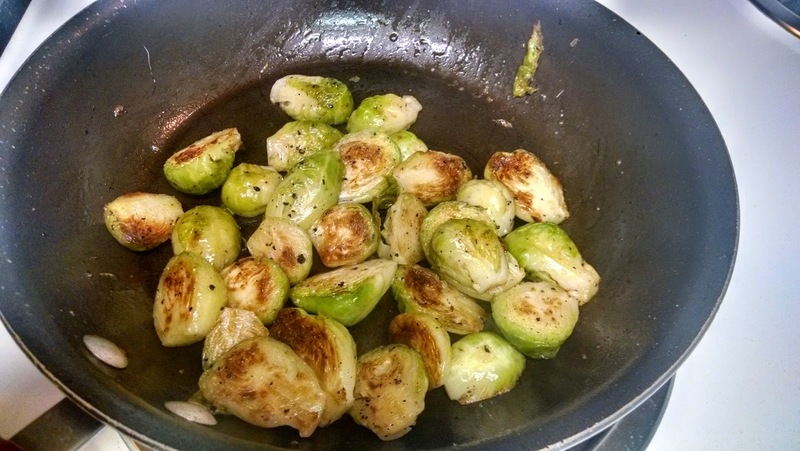 Congratulations, these are your finished brussel sprouts! Put everything on a plate and enjoy! 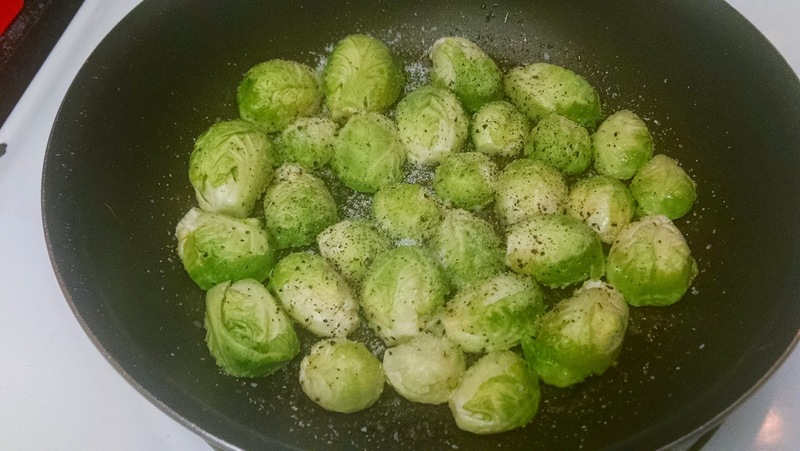 Roasted Brussels Sprouts with Agave and Spicy Mustard Recipe – A sweet-and-spicy mustard sauce coats roasted Brussels sprouts in this simple side dish recipe.